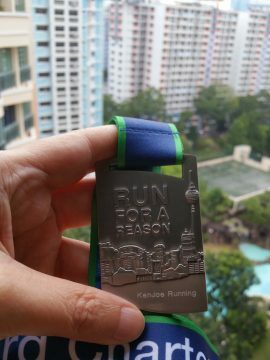 Snap Reviews For Races Ran in April/May 2017 (by KenJoe) | JustRunLah! 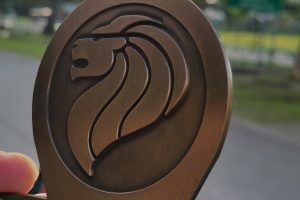 It has been some time since I last wrote. 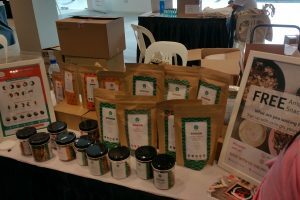 Had been preoccupied with mundane living and life’s tasks amongst other things like trying to recover fully from the spine and tailbone injuries I had. 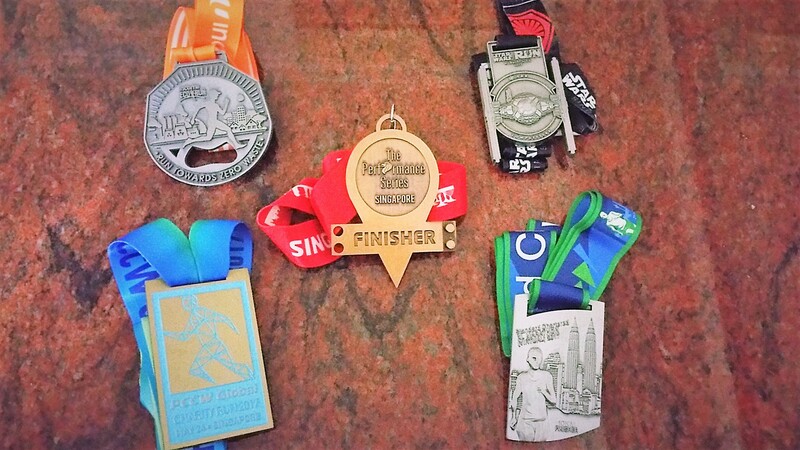 Still, I had managed to complete a number of races that I had signed up for much earlier. And slightly more than a week ago, with the Transcending Yourself theme, I thought it was high time I pick up on my literary outlet. 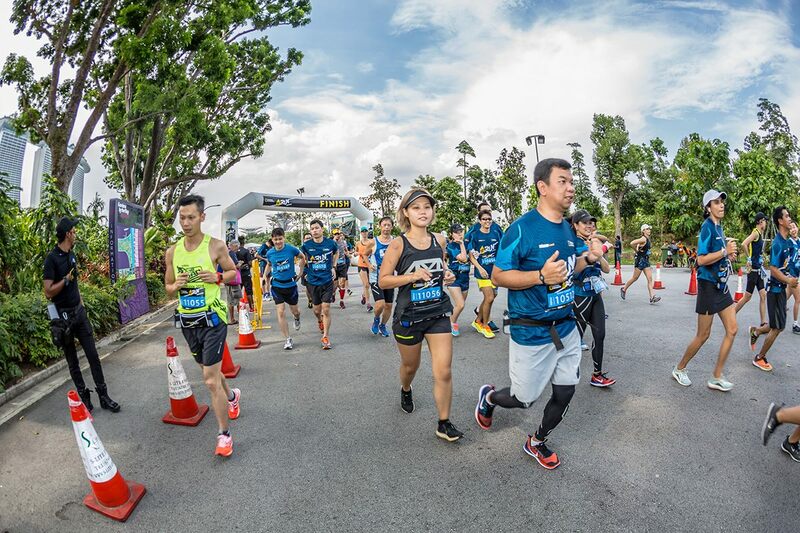 After the Sundown and 2XU compression half marathon, the next two races in April had the same theme – conservation of environment. A cause which I also felt strongly about and support. 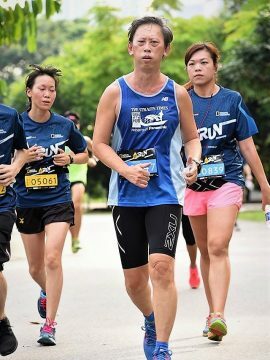 National Geographic Earth Day (NGED) Run (10 km) was on 23rd Apr and the Eco Run (formerly called run 350) half marathon was the following week. 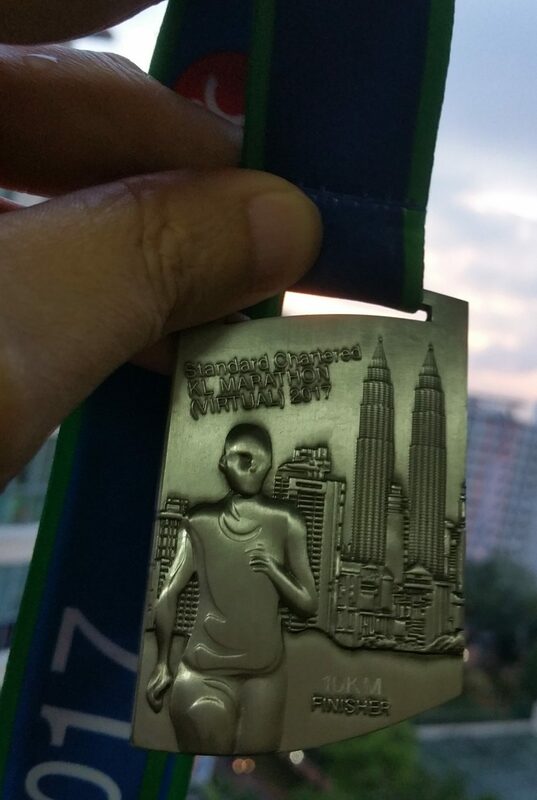 What was unique about the NGED event was that there was no finisher medal. 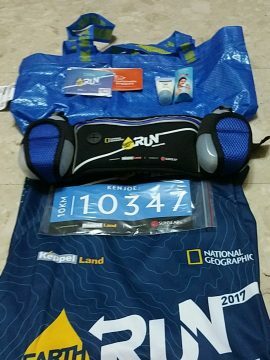 Instead a running belt with BPA-free water bottles and a NGED Run NETS FlashPay Card were part of the race pack. As I hate to run carrying extra stuff I just went for that race barehanded. 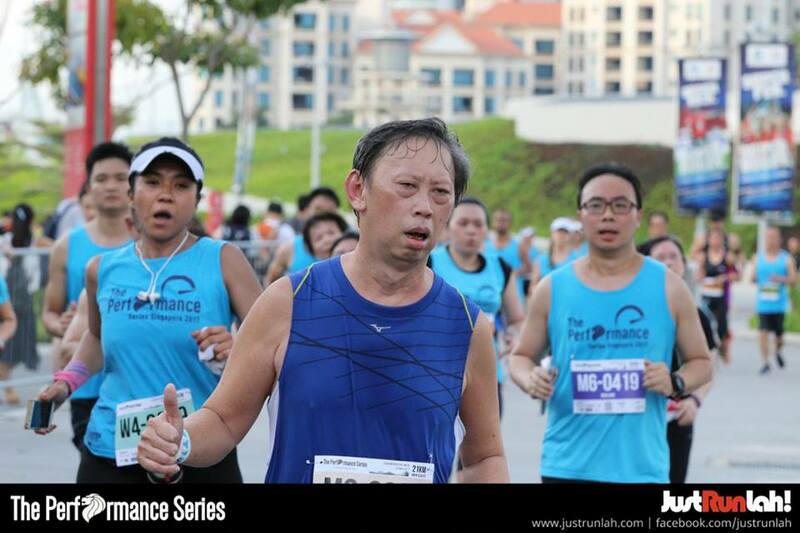 So I didn’t take any hydration along the scenic route at Gardens By the Bay. 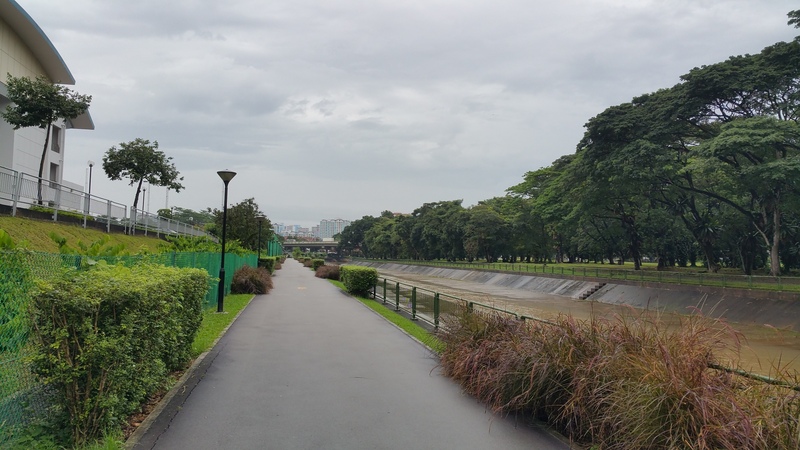 I prefer morning races but this was an afternoon run at 4 pm, a time in Singapore which meant running under the hot sun still if it wasn’t raining. It wasn’t raining that day. So my satisfaction factor for that was still a high 3.5 out of 5. 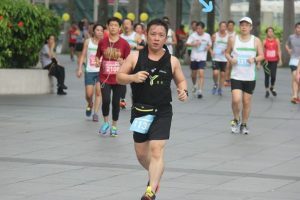 I appreciate having that belt for the day when I do embark on an ultra or perhaps another full marathon. 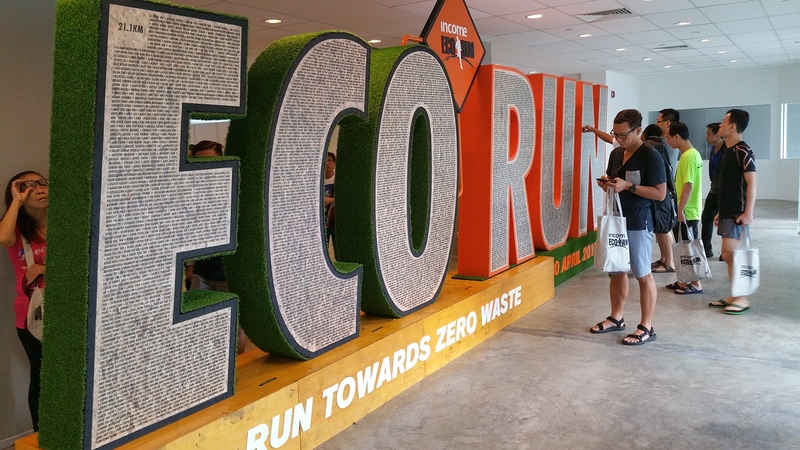 Eco Run was an annual affair for me now these days – my third in as many years of running. 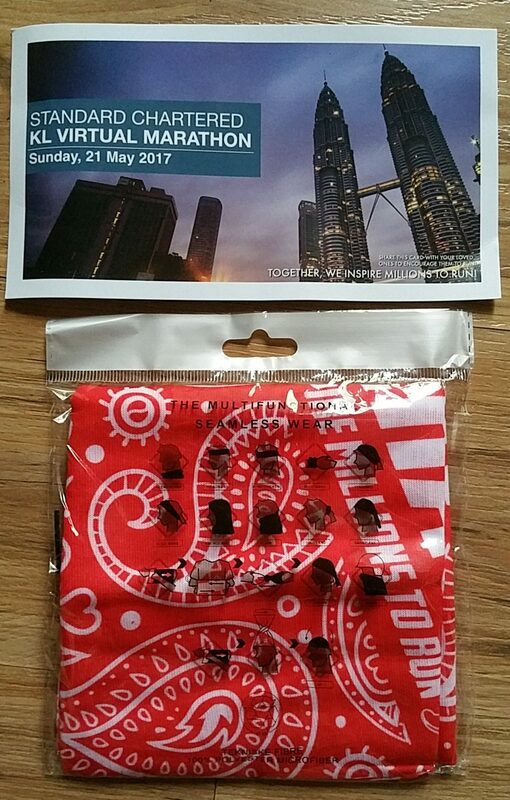 Appreciate the farm mart theme on race pack day and you get to have a few freebies if you have the time to look. 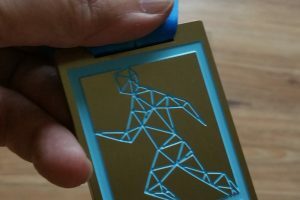 Unique factor was the big Eco Run Grand Stand Characters and you could find each runner’s name engraved on one of the characters. 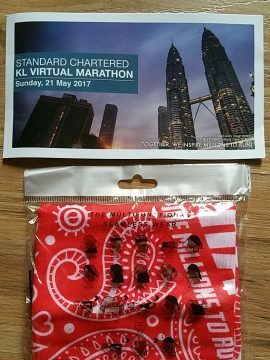 The race pack itself was fairly generous in my opinion. 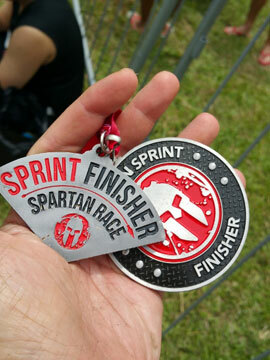 I chose to get the finisher medal. 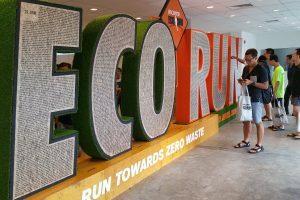 Otherwise you could go without and be a zero waste runner who would get the special edition water bottle amongst other stuff. 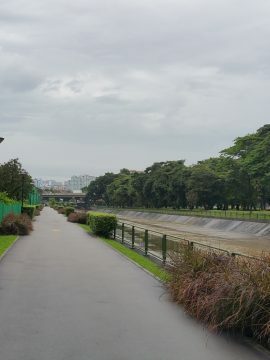 Race started from F1 Pit and luckily it didn’t require one to go up the Marina Barrage slope. A half marathon done and the logistics were pretty good overall so this gets an 4 out of 5 from me. 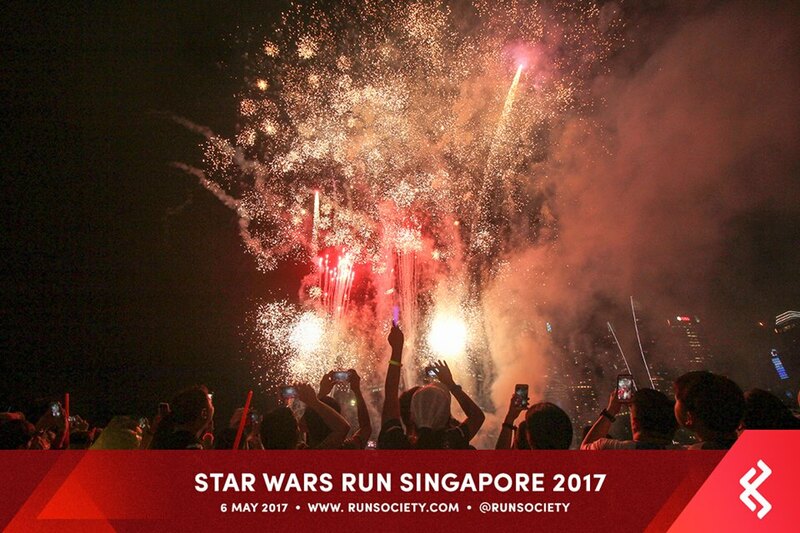 And then a week after (6th May), it was another 10 km, Star Wars Race, a first in Singapore, 40th anniversary of Star Wars. 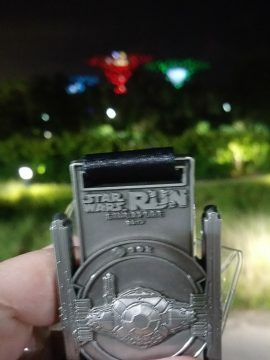 What was unique was that you could choose to run for the dark side or light, (it is your destiny!) 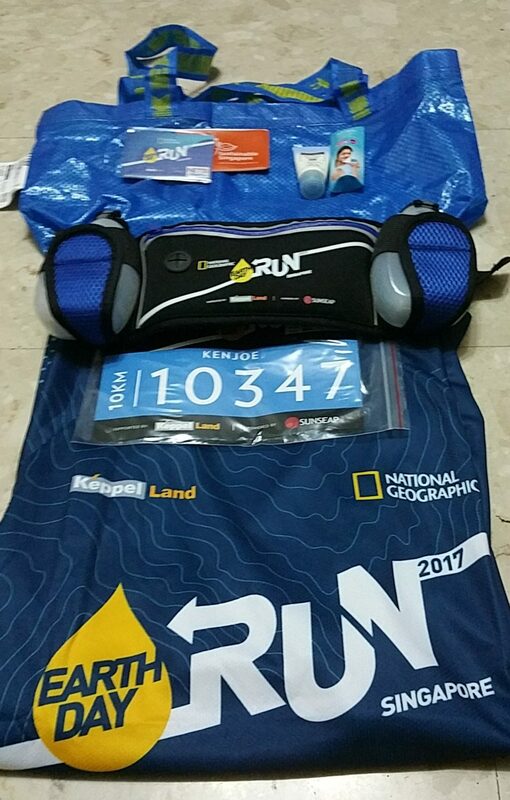 and get your respective race pack and finisher medal. What was spectacular was the sendoff at the start point. 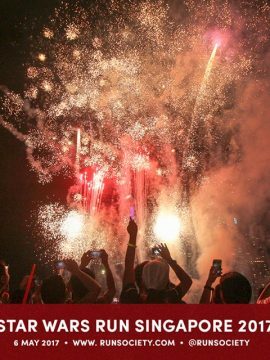 You get to enjoy the fireworks at close quarters. Probably those in wave 1 may not enjoy it as much. But later waves like mine, we could view the whole display before we set off. The starting time was for 7 pm so that avoided us getting the setting sun. 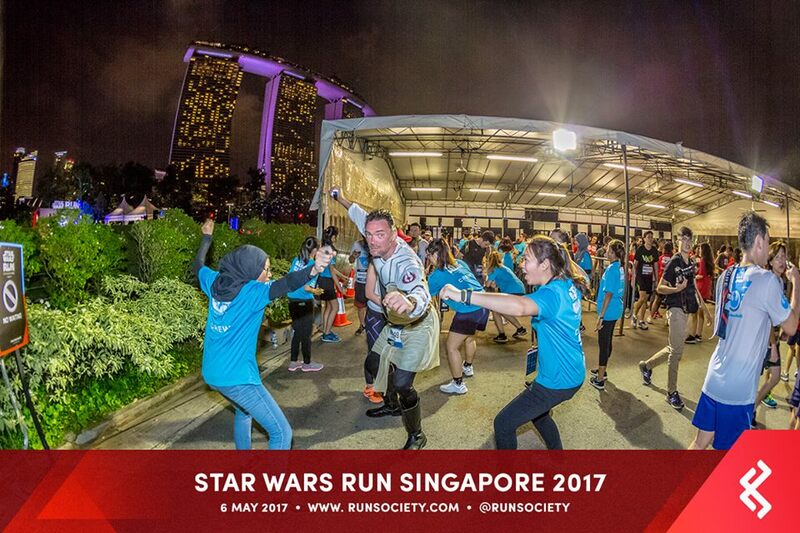 It was also a fantastic turnout for Star Wars fans as a significant portion did run in Star Wars outfit. 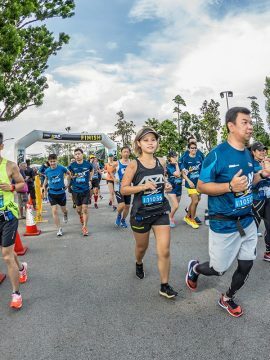 If you enjoy dressing up and still have fun in a run then this was the race for you. So a more leisurely race as the crowd was more into the fun although there were still elite racers still. 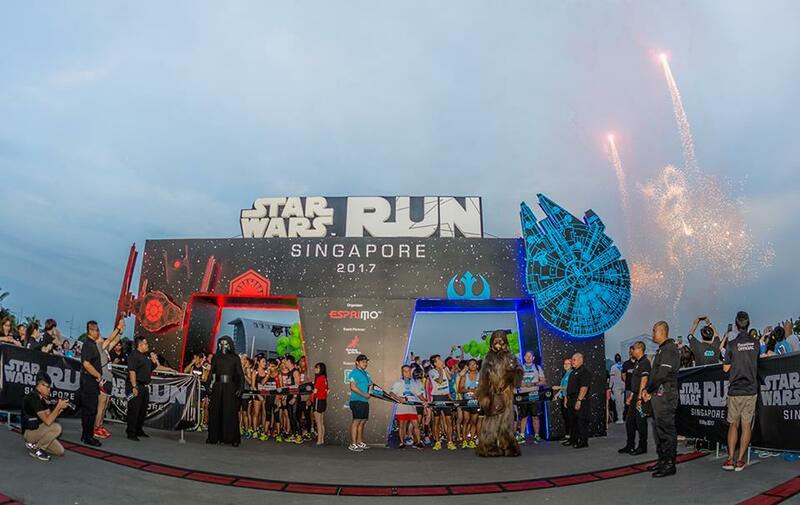 Took place at the Supertree Grove, Gardens by the Bay and the gardens were all lighted up for the Star Wars extravaganza. 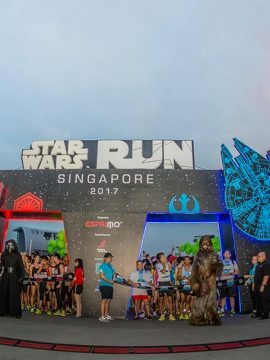 Would give a 4 out of 5 but it’s relatively more pricey than the other 10 km races but you would probably still love it if you are a Star Wars Fan and happen to be a runner. Two weeks later, I completed the virtual race with 42race. I thought it was pretty good value for money. 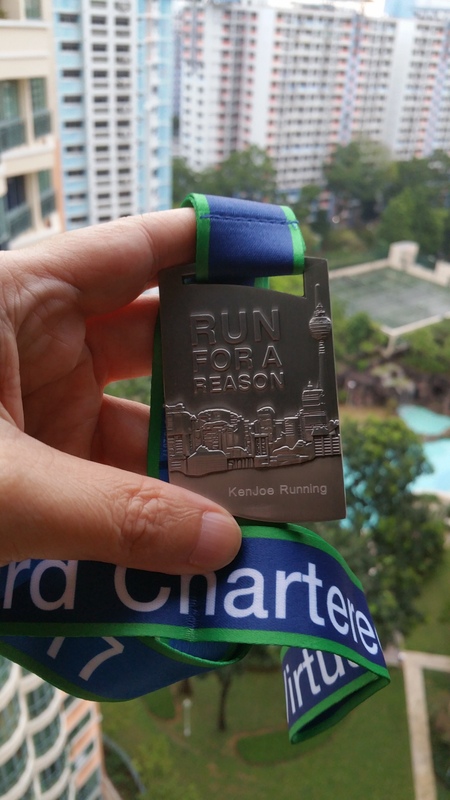 I couldn’t go to KL for the Stanchart race as I couldn’t afford it. 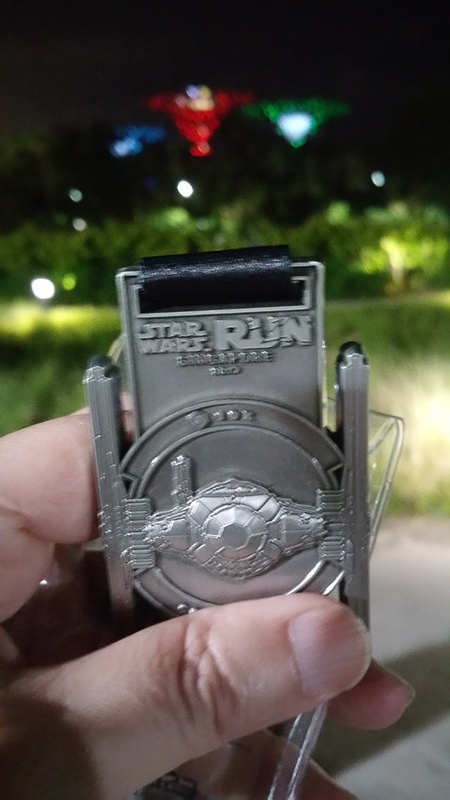 $9.90 gets me a finisher medal that was ‘fairly’ close to the actual one and I could have a name engraved on the medal for free and a bandana if I was one of the first few. 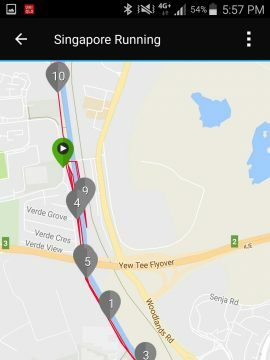 Ran 10 km at a much slower pace by now as my back and tailbone pain refused to leave me in peace amongst other issues. Definitely a high score but this is a virtual race in a different category from the usual. 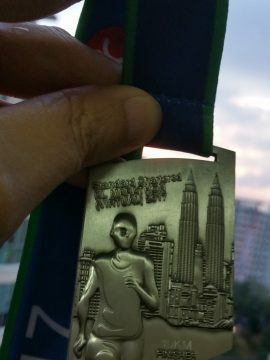 No queues and I got the medal within the first 3 days after the race. 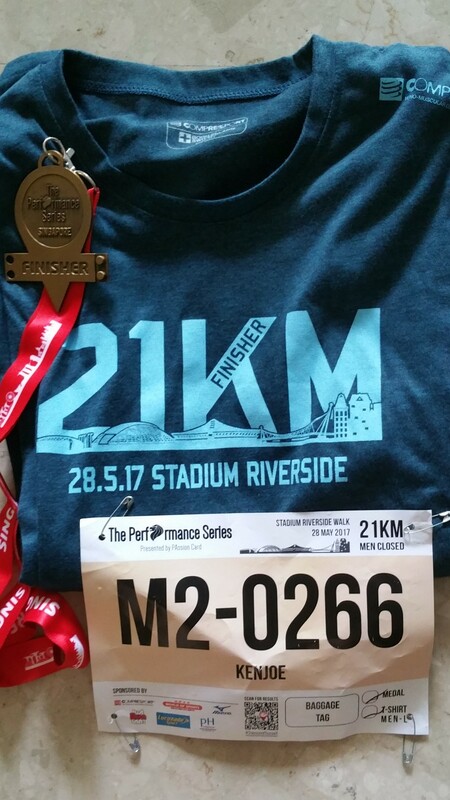 So that makes it the 24th 10 km race I had done. 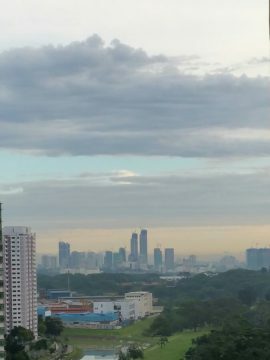 Rate it 3.8 out of 5. 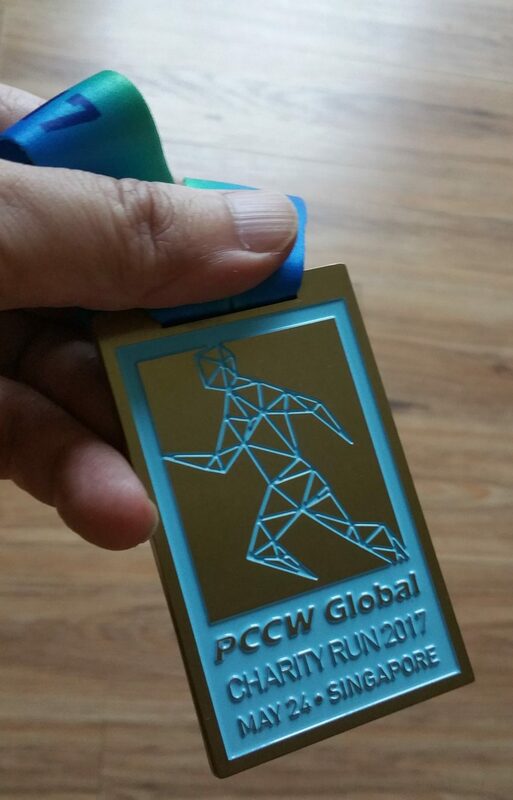 3 days later on 24th May, a weekday, I ran PCCW Global Charity 5 km. 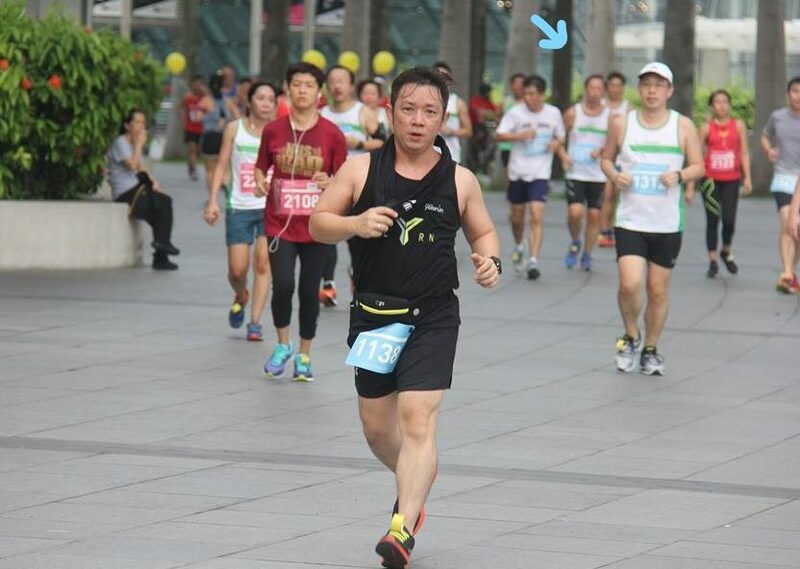 I ran this in memory of my dad who passed away exactly 6 years ago, quite suddenly. 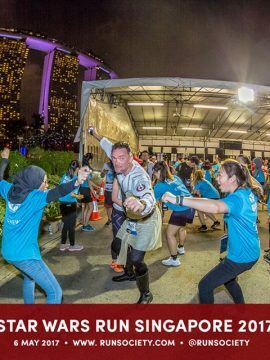 Also my third annual event with the group and I appreciate that this year the full proceeds ($50,000) were donated to Make-A-Wish Singapore, which grants the wishes of children with life-threatening medical conditions to enrich the human experiences with hope, strength and joy. 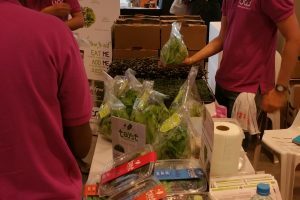 Another 4 out of 5 rating for the logistics, high quality and efficiency and another great cause to support in my opinion. 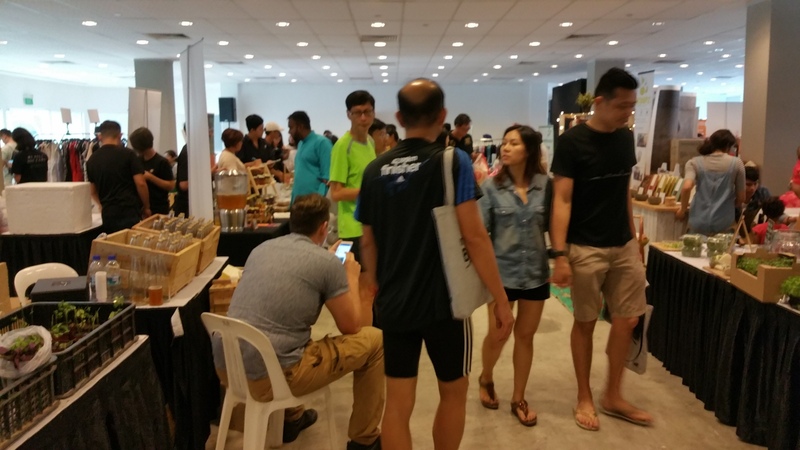 Having said that, this is on a relatively smaller scale race with about 1000 participants. Still a nice crowd with it being on a working weekday. 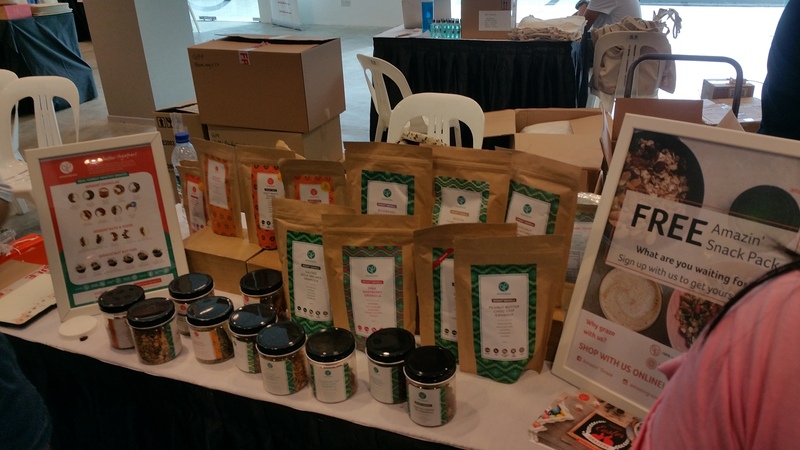 Donation starts from $30 / $35 depending on if you were an early bird. 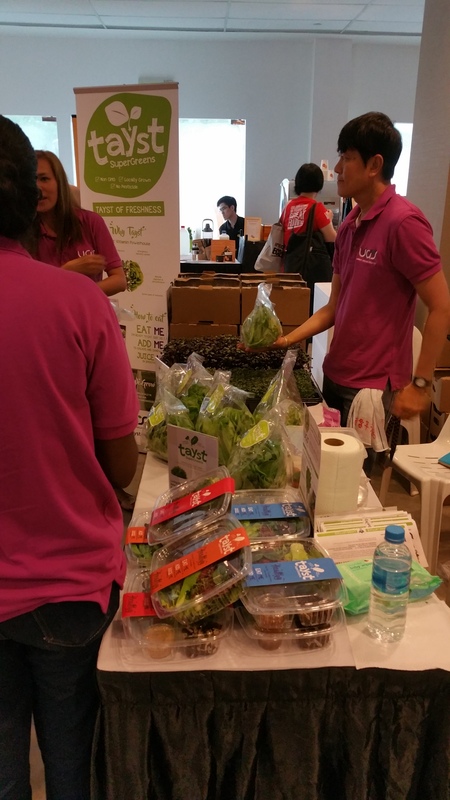 Participants could contribute more. Venue once again at Gardens by the Bay but at Silver Leaf, a spot which was a bit tricky to locate for those not too familiar or a topo- king, like myself. 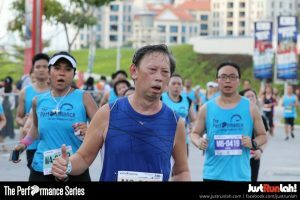 This makes it the 7th 5 km race I had completed so far. 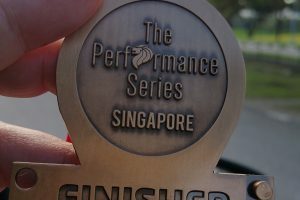 A few days later on the weekend, I went for the first race of Performance Series II (Transcend Yourself). Ran the whole series last year free with courtesy of Justrunlah (JRL). This year, I decided to continue to support the series but wanted to pay for it this round but had a fantastic discount package with the blessings of JRL. Thank you, JRL. The race pack collection was as usual for me which means that I had to queue for about half an hour. I didn’t find this a hassle since this was in a familiar venue at City Square Mall and expected high numbers anyway. 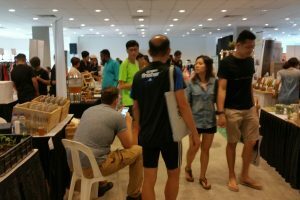 Turned out close to 5000 participants for both 10 km and 21.1 km races. 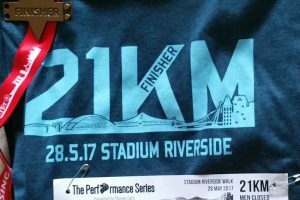 This year I decided to take on the half marathon for a change from last year’s. What was unique was that if you signed up for the bundle package, you get to have the TPS Medal Hanger. 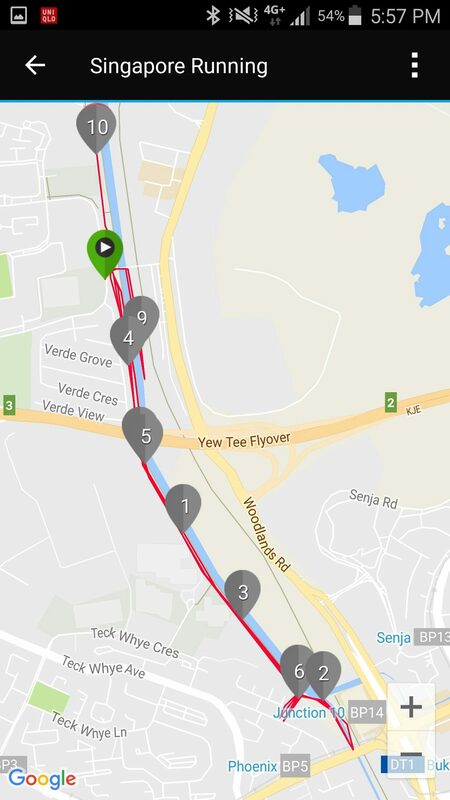 Logistics was well planned and I have another good run from the Stadium Riverside Walk. 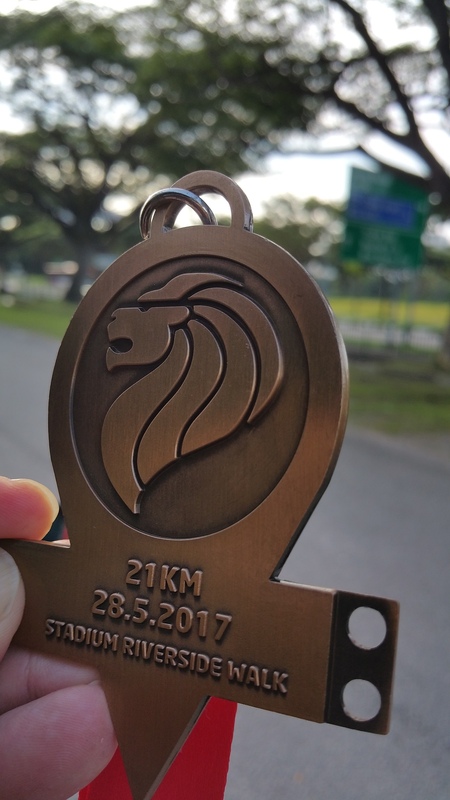 Probably could have done without the Marina Barrage gradient. Abundant hydration from Lucozade Sports. What was truly impressive was the real time release of run results online. A first for races, at least for those I attended so far. Another point worth mentioning was also the high quality of the Compressport running singlet and finisher tees. This makes it also the 10th half marathon race I completed. Rate it 4.5 out of 5. 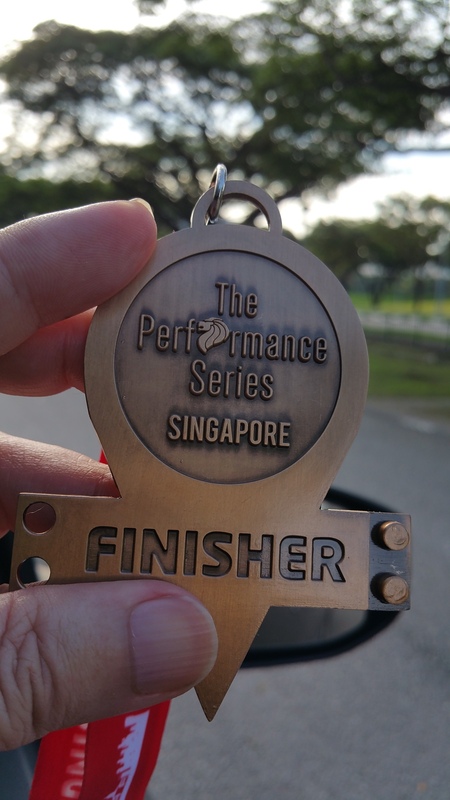 And though this would be the last race for May and perhaps for some time to come before I run another race, I learnt a lot through the recovery process from my spine fracture. The struggles are real especially if you also don’t have the talents in the first place, but what’s important is not to give up. 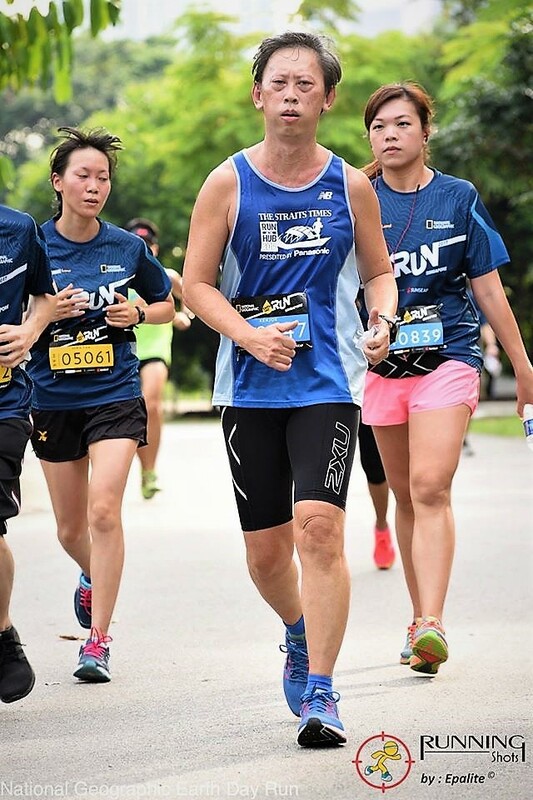 Running gives me the space, the time and opportunity to get away from the routine or vagaries of life to live the moment and yet enjoy the freedom of personal peace as I move. I will continue to run but for now, stay away from races as I hope to recover more fully from the troubling spine and tailbone pain that continues to bug me so far. I leave you with this quote from Mahatma Gandhi (or Arnold Schwarzenegger’s? depending on where you came across the quote) “Strength does not come from winning. Your struggles develop your strengths. When you go through your hardships and decide not to surrender, that is strength.” Keep transcending yourself in whatever worth pursuing. Never give up. Till the next time, run safe and run happy.